RedGraceMedia 48 - Thabiti Anyabwile Votes Hillary, Is Allah God? What a week in review for Thabiti Anyabwile and The Gospel Coalition. 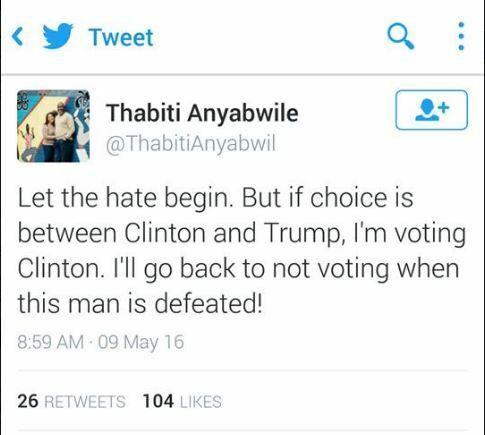 On this episode, we talk about the firestorm caused by Thabiti Anyabwile by Tweeting that he will, in fact, be voting for Hillary Clinton should the option be between Clinton and The Donald. Furthermore, TGC has allowed Thabiti to defend his position on their website. Should a Christian consider this as an option? Or are we participating in evil if we choose either option? The Gospel Coalition published another article worthy of discussion, Is “Allah” God? And of course, we are back to business with biblical theology.